Do you know how to SUP? Do you want to SUP? You don’t know what SUP is? SUP is short for standup paddle boarding and it is a sport originating from Hawaii. Paddle boarding is done kneeling on your knees, and with standup paddle boarding – you – as the name says – stand up on the board. Even if you aren’t a fan of adrenaline stuff, SUP is a very easy activity and almost no one falls into the water :). If you are interested in SUPing, we would recommend you Bananaway – stand-up paddling and kitesurfing school. If you want you can go suping on different locations. One is Ljubljanica river. That way you can see the city center from a different point of view. Their tour also includes introductory briefing and instructions. 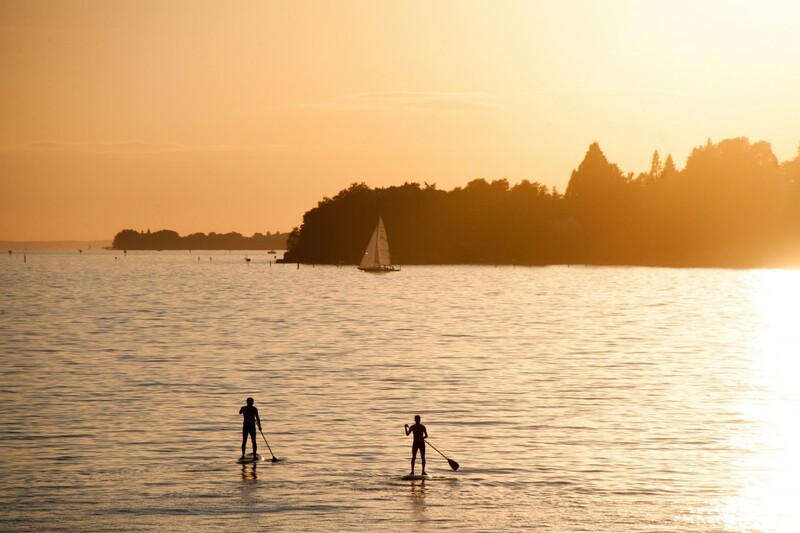 You can also take the Lake Bled, Piran or Focci Dello Stella SUP tour with Bananaway. Also, if you want, they offer Kite camps. The Bananaway team is a very young team of people full of energy, knowledge and enthusiasm. We invite you to visit their website and check what they have to offer.